I'm very excited!! I've joined my very first blog giveaway. 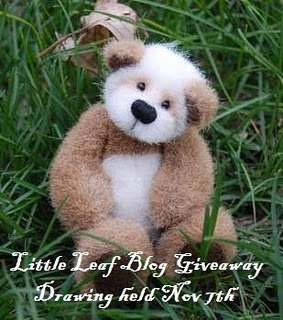 Shanna, from The Little Leaf is giving away a beautiful little panda cub called Minzhe, pop over and take a look.